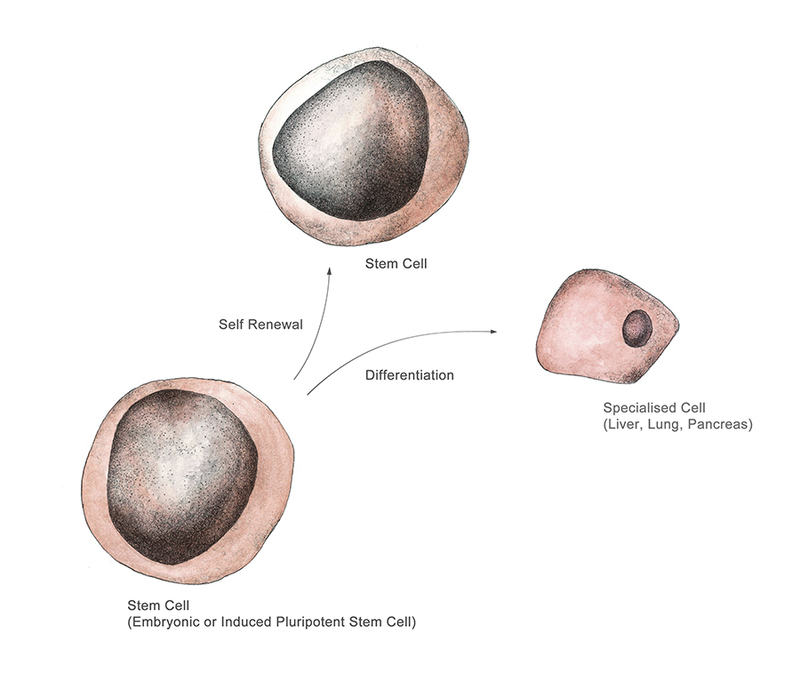 The brief: To create a series of 5 figures for the journal review Disease modeling using human induced pluripotent stem cells. The figures were to show how a stem cell gives rise to indefinitely more cells of the same type, and differentiates to produce certain other kinds of cell (in this case, hepatocytes); to detail at what stage embryonic stem cells are harvested; to explain stages of embryogenesis and at what stage gut tissue is developed; to show the levels of different factors present in the gut during embryo development and how this affects the differentiation of gut tissues; and to detail the potential applications induced pluripotent stem cells in creating patient-specific medicines. Figure 3: Embryogenesis, detailing the development of endoderm and it giving rise to lungs, liver and pancreas. 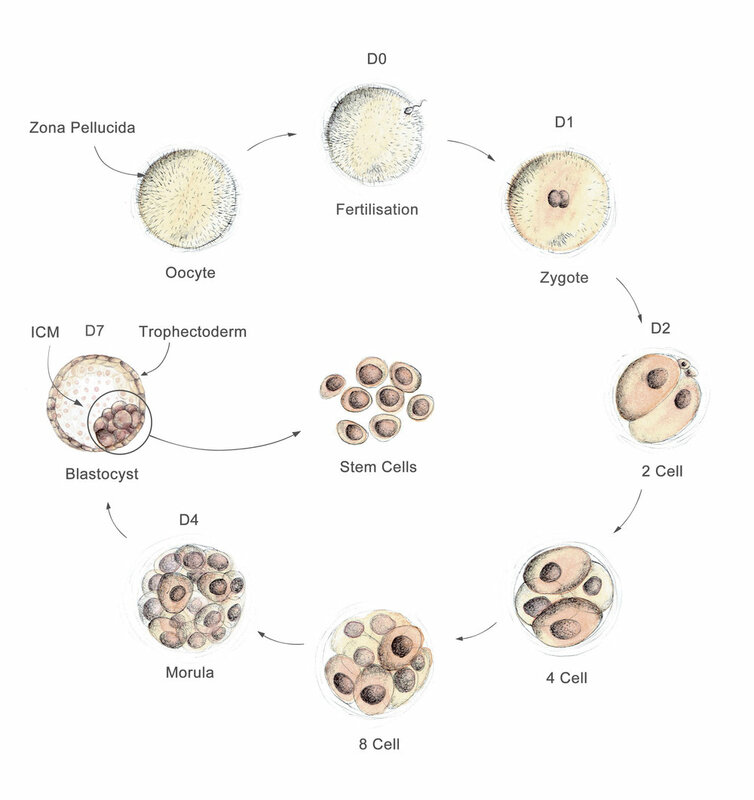 Figure 2: Embryonic development, detailing the blastocyst stage, at which embryonic stem cells would be harvested. The outcome: the client favoured a clean, yet traditional look for the final figures. Watercolour was used to identify key features in the figures, and biro was used to highlight detail. The figures were published in a 2014 edition of the journal BBA Molecular and Cell Biology of Lipids.